Check out this great information on the Appalachian Trail from www.appalachiantrail.org. You can begin or end your hike at hundreds of places between the Appalachian Trail’s northern and southern ends. There are 95.7 miles of the A.T. in North Carolina, but the Trail runs along the Tennessee/North Carolina border for 224.7 additional miles. As the A.T. ascends to the High Country of the state line, hikers traverse the highest mountains along the Trail, including several above 6,000 feet. 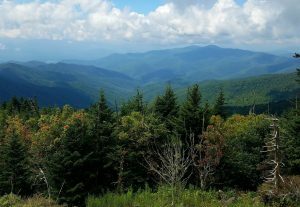 You’ll need an advance permit for Great Smoky Mountains National Park, and depending on the length of your hike, shelter reservations as well.